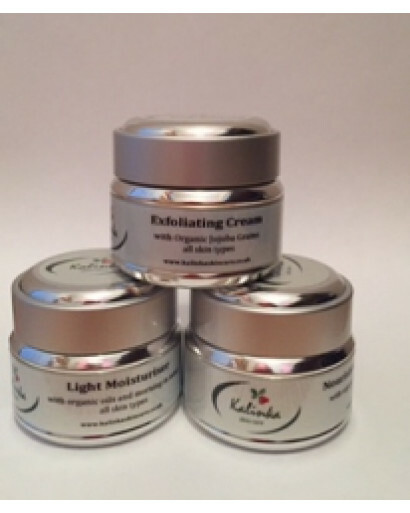 Calming facial cream, rich blend of oils and vitamins, light and easily absorbed by all skin types, a perfect night time elixir to rejuvenate your skin. 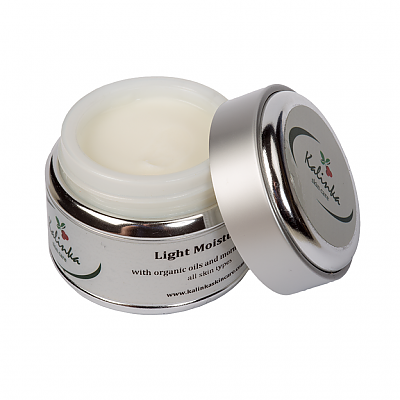 It is packed with antioxidants so you can wake up to fresh, supple skin. 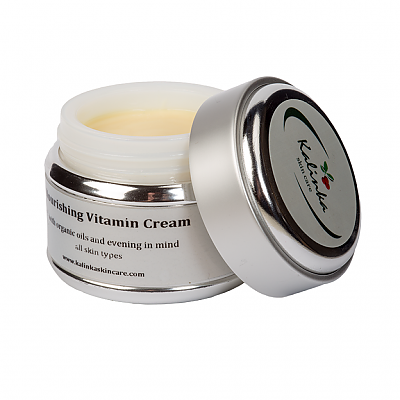 Use of Carotene gives this cream sunny colour just to cheer you up in the evening! 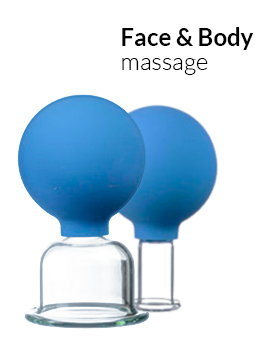 Apply in the evening to cleansed and toned skin, gently massaging into your face and neck. 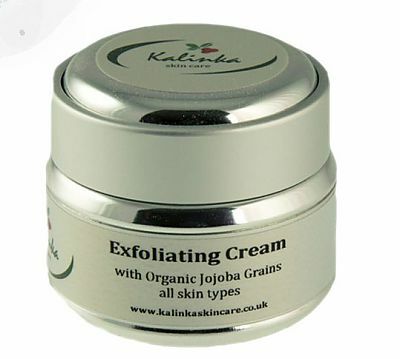 For better results use with Jojoba Grain Exfoliator and Organic Tonic Water. Vitamin E, Vitamin A, Carotene and Pure natural Cold Pressed oils such as Peach Kernel Oil, Evening Primrose Oil, Organic Shea Butter, Orange Essential Oil, Rosewood Essential Oil, Vegetable Glycerine, P Eco, VE Emulsifier, MF Emulsifier, Organic Rosewater. Apply Exfoliating Cream onto a cleansed wet face, massage gently in circular movements for a few minutes. Wash off with luke warm water or use a hot cloth to remove and pat dry. Aqua,Ricinus communis, Carthamus tinctorius, Sodium Stearoyl Lactylate, Hydrogenated extract of Simmondsia Chinensis (Wax esters C4202H74) and Ultramarine Blue, Glycerine, Butyrospermum Parkii (Shea) Butter, Glyceril Stearate, Cetyl Alcohol, Benzyl alcohol and Salicylic Acid and Sorbic Acid, Tocopherol, Citrus medica limonum (Lemon) Peel Oil, Pelargonium Graveolens (Geranium) Flower Oil.